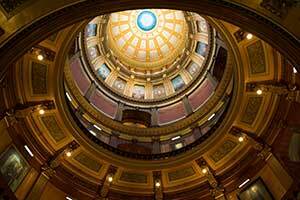 LANSING—Sen. Dale Zorn, R-Ida, congratulated Jim Kapnick of Kapnick Insurance Group at the Michigan Capitol on Tuesday. 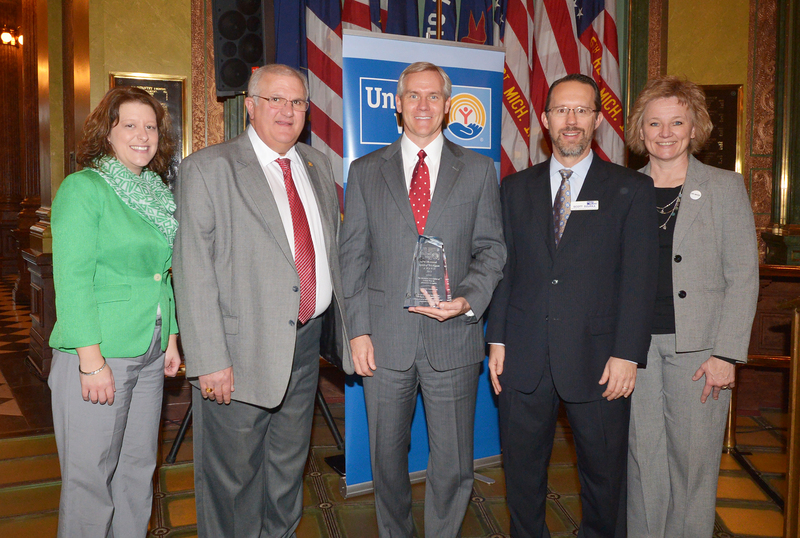 Kapnick Insurance was recognized with a Spirit of Michigan Award by the Michigan Association of United Ways for its contributions to the community through their local United Way. The Adrian-based business was nominated for the honor by the United Ways of Lenawee and Washtenaw counties. Pictured from left: Amy Palmer, Lenawee United Way CEO; Zorn; Kapnick; Scott Dzurka, president and CEO of the Michigan Association of United Ways; and Pam Smith, CEO of the United Way of Washtenaw County.